Given the varied imaging indications and often complex anatomy and physiology in patients with congenital heart disease, special techniques are often necessary to optimize the diagnostic information obtained. 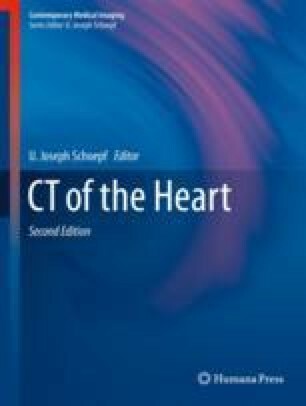 This chapter provides recommendations that can be utilized to optimize the diagnostic utility of cardiac CT in this patient population. Specifically, recommendations regarding the optimal imaging environment, sedation, venous access, injection protocols, scan triggering, sequence selection, interpretation, and reporting for patients with congenital heart disease are provided.